After growing up in Philadelphia, Alejandro came to New York City to enhance his professional progression. Having spent significant time traveling, he sought a city with the history and amenities to keep him engaged in all areas of his life. With a background in arts management and development, Alejandro worked with some of New York’s City great art talent while serving as Head Curator at the 43 8th Avenue Gallery. His attentions eventually progressed beyond canvas, photographs and mixed media to the beauty of surrounding buildings and neighborhoods. Alejandro has experience with sellers, buyers, and investors in Manhattan, Brooklyn, and Queens, both the hot spots and the up-and-coming neighborhoods. He is well connected and service-oriented, making him the natural choice for first-time and experienced buyers. David left the corporate world to embark on a successful career in real estate. He knew immediately that he had made the right choice and worked hard to build his distinguished reputation. David joined Compass in late 2014 after six years at his previous firm. While there, he led a team that continually ranked in the top three in production. David's effectiveness can be attributed to his customer service and marketing expertise, as well as his compelling communication skills. He is a dedicated advocate for his clients’ real estate needs and his knowledge of the market, the properties, and landlords help to streamline the process no matter which neighborhood a consumer seeks. Once David locates the ideal property for his client, he skillfully negotiates on their behalf, making homeownership an affordable reality. Originally from the Bay Area of California, David earned a B.S. in Economics and Business Administration from the University of Oregon. He lives in DUMBO, Brooklyn and specializes in the Lower East Side, East Village, Upper West Side, and DUMBO neighborhoods. When not hard at work, David enjoys playing basketball, hiking, and discovering new restaurants. He loves the adventures that New York City offers, but also spends time seeing family on the West Coast. Reva realized her longing to be in the real estate business while teaching Interpersonal and Management Skills at Professional Business College in downtown NYC. As a springboard to changing careers, she successfully completed the Kauffman Fasttrac NewVenture Program (at the SUNY LEVIN Institute of NYC Business Solutions), which promotes the acquisitions of the skills and knowledge required to start a successful business. 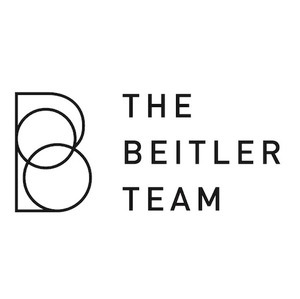 She is thrilled to join the team of Alejandro Beitler, Compass’s highly experienced and top agent and is dedicated to helping clients and customers navigate all aspects of the New York real estate market. Reva is a graduate of the Dwight School, Dickinson College and Teachers College at Columbia University. She taught high school history for over 15 years in Great Neck South, Prep for Prep and Inwood Academy for Leadership. Prior to relocating to the UWS with her family (and renovating their apartment), they lived in Finchley, London for five years. A long-time advocate and fundraiser for the public school communities her son and daughter grew-up in, Reva believes in school equity for all. In addition, the YPC (Young People’s Chorus), PWF (Peter Westbrook Foundation), Doe.fund (Ready Willing and Able) and TrueColor.Fund are a few of her favorite local NYC charities. Internationally she is a fan of and contributor to the BookBus.org and PalmsforLifefund.org. Reva is known for her trustworthy, resourceful and thoughtful approach to people. Customer satisfaction is achieved through the highest level of professionalism while having fun in the process. When not directly working with and thinking about the needs of her clients, Reva enjoys working on writing a book series on the language of consciousness and spirituality, researching potential travel opportunities with her family, biking on Block Island and exploring the yoga community in NYC and beyond.